Suzette is using Smore newsletters to spread the word online. Over the next few weeks I am going to share some of the different resources that are available for you to use with students. 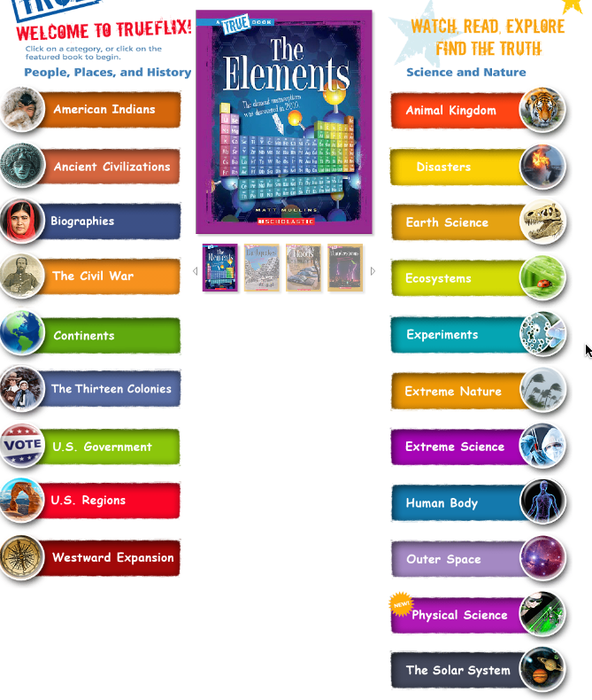 All of these items are on the library's website under Online Resources. Scroll down to the specific tool. If you have any questions or would like to talk to me about these tools, please email me and I'll plan to meet you. All resources listed use the same username and password. 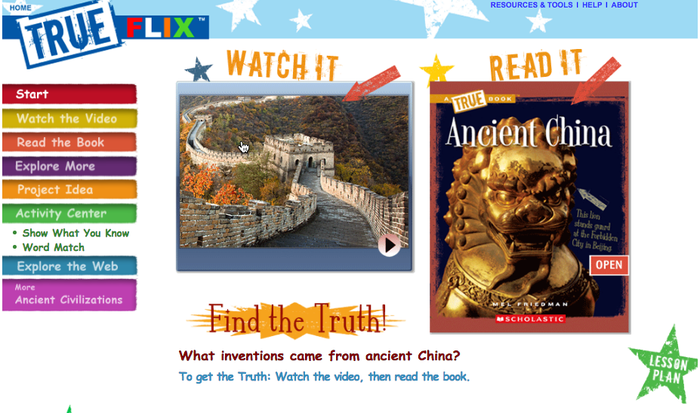 TrueFlix is an online resource that combines True Books content with reading supports and a collection of related videos, images, Web links, and text. I have linked Ancient Civilizations to see what it looks like. An entire class can be logged into the resource on multiple computers; allowing you to use during class instruction. 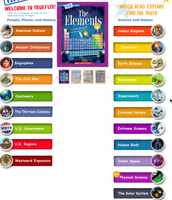 TumbleBookCloud - is an online collection of ebooks, enhanced novels, graphic novels, videos and audio books, which offers students and adults of all reading levels access to a range of books. It doesn't have a limitless library - but may be very useful for some free reading or out of class assignments for students who struggle with reading.